Sometimes, the doctor takes a sample of a cyst in a procedure known as a biopsy and examines the sample under a microscope. When necessary or desired, treatment usually involves removal of the cyst with a simple incision and after injection of the local anesthetic. Complete removal of the cyst by surgery can prevent a recurrence. Otherwise, the doctor may make a small cut in the cyst and empty the contents. This option is quick and simple, but cysts are more likely to reappear. 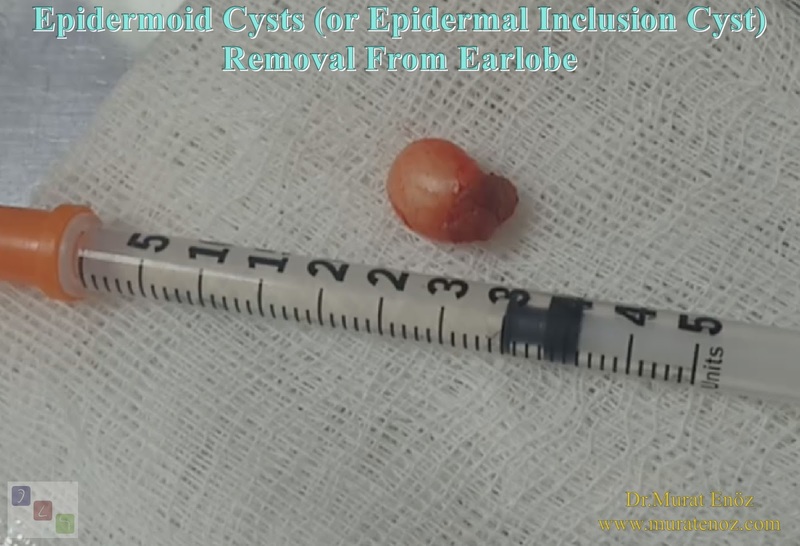 In the video, the patient with sebaceous cyst in the ear lobe, which has been growing for several months, has a "removal of cysts from the ear lobe" under local anesthesia. After the local anesthetic infiltration, an ellipsoid incision was performed on the cyst under office conditions. Approximately 1 cm diameter cyst was removed with the skin part. The incision area was sutured and the operation was terminated. Epidermoid and dermoid cysts are benign cystic lesions covered by ectodermal squamous epithelium. 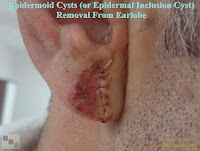 Ear lobe cysts known as epidermoid cysts or epidermal inclusion cysts grow slowly. A doctor will usually recommend removal only if there is pain, discomfort, eruption or infection. In adults, it usually occurs in areas not covered with hair, such as face, neck or body. Epidermal cysts in the ear should be separated from lipomas and hemangiomas. Lipomas are benign adipose tissue containing tumors, and hemangiomas usually present at birth are benign tumors of vascular endothelium. 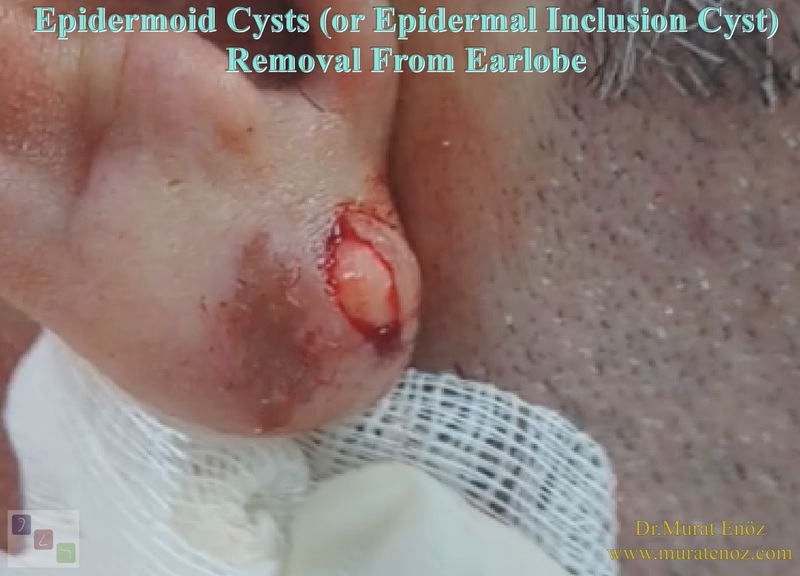 One of the problems associated with large epidermal cysts is their ugly, non-aesthetic appearance, so most patients require surgical cyst removal for cosmetic reasons. Sebaceous cysts, epidermal cysts, epidermal inclusion cysts, epithelial cysts, steatomas, sebaceous cysts and fat cysts are also used.